Summer Retreat in Linville Land Harbor! 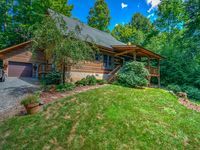 Property 4: Summer Retreat in Linville Land Harbor! 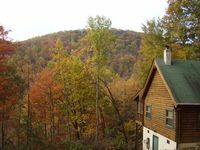 Property 7: Within minutes of Skiing, Hiking, Banner Elk, and more. Property 8: Luxury cabin with beautiful long range views. Property 10: Gingercake Acres- Beside the Linville Gorge Wilderness. Pet Friendly! Property 16: Charming Cottage with incredible views of Grandfather & Sugar Mt. w/ hot tub! Property 17: 100 private acres of mountain splendor. You won't find anything else like it! Property 18: Hike from front door to Waterfalls! Hot tub under the stars! Property 26: Rustic Urban, Blowing Rock, Great for Hikers, Cyclists, & Sm. Families! Property 28: Escape from the everyday & come to Beech’s Cozy Cottage to stay & play! Property 33: Special low pricing for April 2019! Property 43: Little Bird Cabin (price includes taxes) Pond, ducks, goats, views, quiet. Little Switzerland Cabin For Romance And Soul Shine! Property 44: Little Switzerland Cabin For Romance And Soul Shine! Property 47: DATES AVAILABLE IN MAY, JUNE AND SEPTEMBER. Property 49: Spring is in the air! Get ready for the Rhododendrons to bloom! The trash situation can be tricky but other than that it was a very pleasant and relaxing stay. Would definitely stay again! One of the nicest cabins we've ever stayed in!